If you’re looking to install or service a Mitsubishi air conditioning unit, you’ve come to the right place! Here at Aloha Air Conditioning, Inc., we’re reliable, certified, and experienced commercial Mitsubishi air conditioner dealers in Fort Lauderdale, Florida. We know how much a properly working air conditioning system matters to your business. Getting operations to run smoothly in a plant, warehouse, or office when the Florida heat is high and the AC is broken can be nigh impossible. 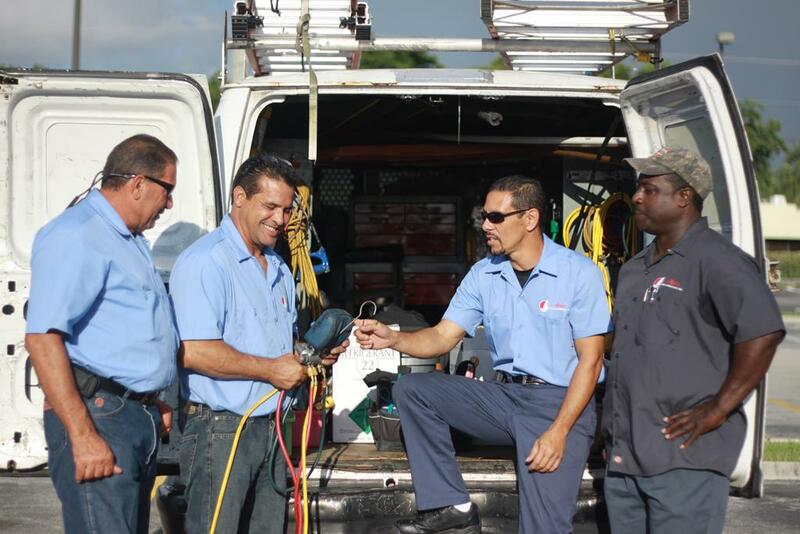 Through our 30+ years of experience installing and repairing HVAC units in South Florida, we know that Mitsubishi products are efficient and reliable. 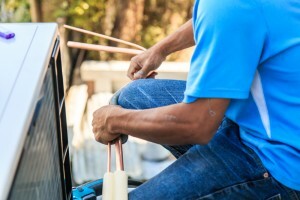 If you’re shopping around for commercial AC, this is what you should know. Undoubtedly, one of the most important characteristics of a good AC unit is energy efficiency. An efficient unit saves you big bucks on your energy bills in the long-term. We’ve served as Commercial Mitsubishi air conditioner dealers for a long time. The reason we offer installation and service of this brand is because we’ve seen and experienced first-hand just how efficient its products are. Let’s face it, you have enough business expenses without having to worry about hiked-up utility bills. Go with Mitsubishi air conditioner installation for a cost-effective solution to commercial cooling and heating. You want to choose a product from a responsible manufacturer, and that’s what you get with Mitsubishi. The HVAC unit you purchase from commercial Mitsubishi air conditioner dealers in Fort Lauderdale are durable and high-quality. In this way, you cut down on service and repair costs over the course of your unit’s life. You also avoid the inconvenience that accompanies a sudden (and certainly unwelcome) breakdown of an AC system. Buying a Mitsubishi air conditioner is truly an investment. Lesser HVAC products cause a lot of distracting noise. When you run a business, that isn’t only annoying–it can lose you clients and hinder inter-personnel communication. With Mitsubishi heating and air systems, you can relax knowing your unit is efficient and noiseless. What Makes us Different from other Commercial Mitsubishi Air Conditioner Dealers in Florida? We take a more personal approach to commercial AC than other companies. We really want you to have a good experience. That’s why we make a comprehensive assessment of your location in order to determine what size AC is most adequate. After all, having an air conditioner that’s too big or too small will lose you money. We give you utmost efficiency and affordability. We know purchasing an AC unit for your business is a serious investment. That’s why we make it easy with flexible and convenient financing plans. That’s where we beat other commercial Mitsubishi air conditioner dealers in Fort Lauderdale, FL. Getting an HVAC unit today and paying as-you-go is as easy as 1-2-3. Click here to learn more about our AC financing plans. As you can see, no one in the Fort Lauderdale area does HVAC better than Aloha AC. Call us today at (954) 772-0183 or apply using the online contact form at the top of this page!